KUWAIT, January 24, 2018: Leading food and beverage distributor Alyasra Foods has brewed up a treat for Kuwait’s coffee drinkers with the launch of global power brands Jacobs and Maxwell House, under the Jacobs Douwe Egberts umbrella, at the recent HORECA 2018, Kuwait’s largest hospitality and food industry exhibition, covering hospitality, catering and food industry sectors. Coffee consumption is a favorite pastime in Kuwait and Alyasra Foods, the largest distributor to Kuwait’s FMCG, turned heads at the 17th edition of the mega food industry event HORECA held at Kuwait International Fair, with the introduction of the Jacobs coffee in Kuwait, a company that has more 125 years’ experience of producing high-quality coffee. Known globally for its aroma, Jacobs coffee, which is the No.1 or No.2 ranked coffee brand in 15 markets across Europe, Asia and Africa, offers a variety of products including Espresso, Caf� Crema and more. As for Maxwell House, founded in the US in 1892, It is a rich in taste coffee under its slogan ‘Good to the Last Drop, comes in varieties such as Maxwell House Mild Blend and Maxwell House Rich Blend. Meeting evolving consumer trends for quality cover at a reasonable price, ‘Maxwell House’ seeks to deliver both a great value and a great taste. Sam O’Brien, Director of Global Business Development at JDE, said: “We are really pleased to be entering the Kuwaiti market with such strong partners, Alyasra Foods, who will offer full concept solutions to the local market. Our unique offer of filter, espresso, instant and liquid coffee, along with quality equipment, training, branding, and technical support are key to success in Kuwait, and Alyasra have the ability to offer this concept really well”. 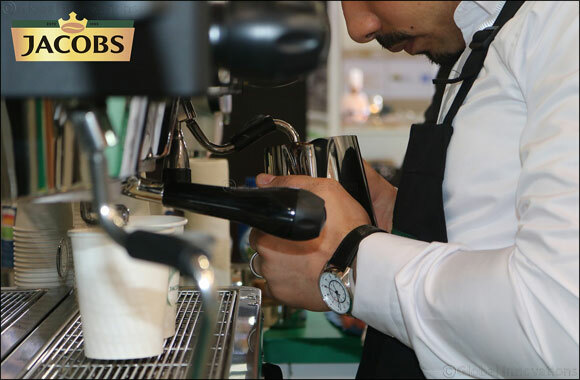 Under the partnership Alyasra Foods will supply its clients across Kuwait with the various Jacobs coffee and coffee solutions, including ingredients, machines and technical support.